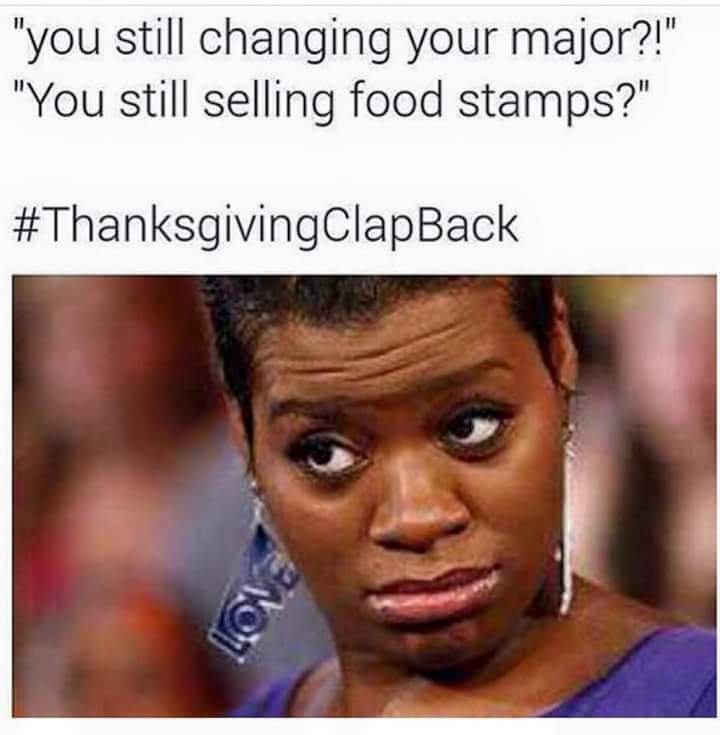 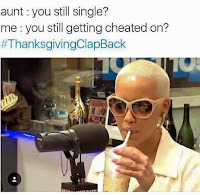 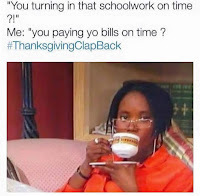 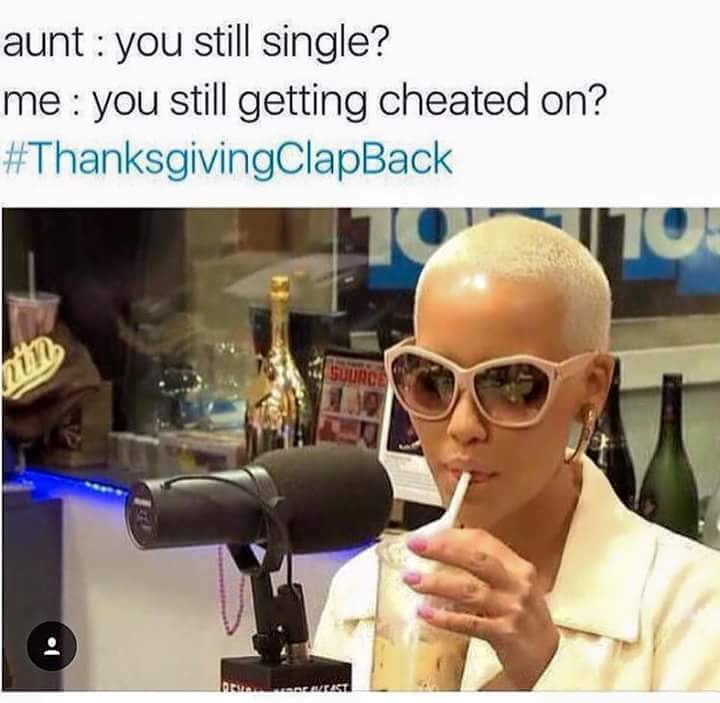 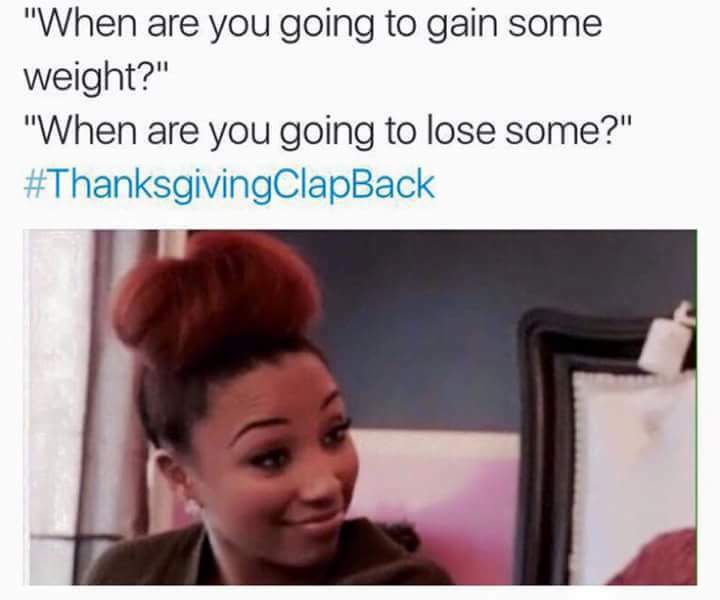 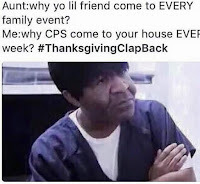 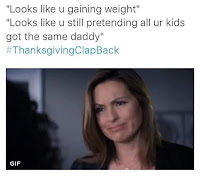 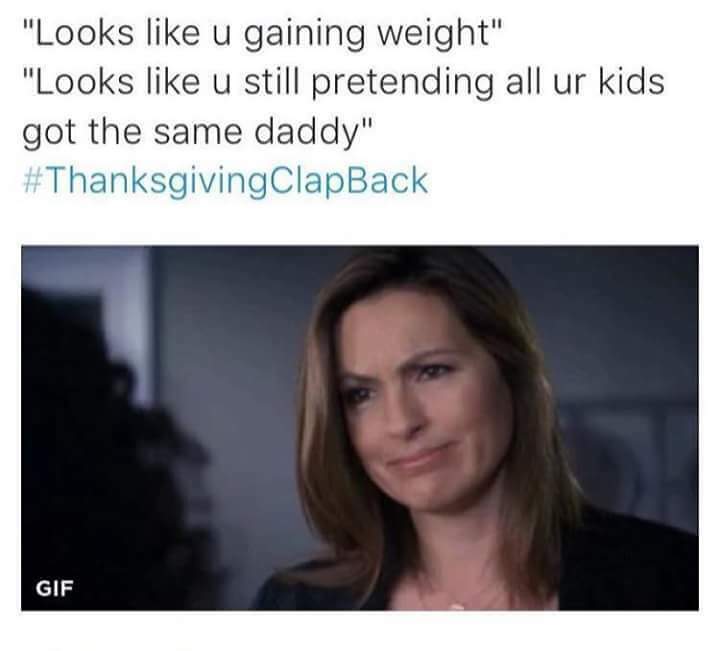 A Little Bit of Nikki G : Wayment...it's #ThanksgivingClapBack season! 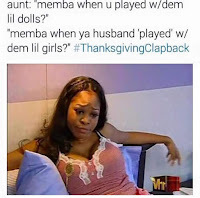 Now, I can't speak for all my bredren and sistas of the earth but these quips on these memes certainly rang true round here. 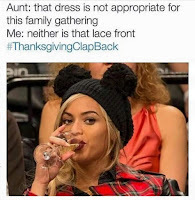 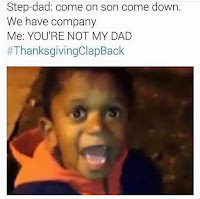 These are definitely clap backs you would hear or overhear, for you nosey folks in denial, at the family functions I have attended. 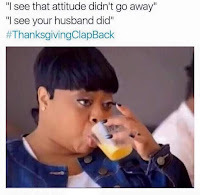 Feast your eyes on these and get your laugh on. 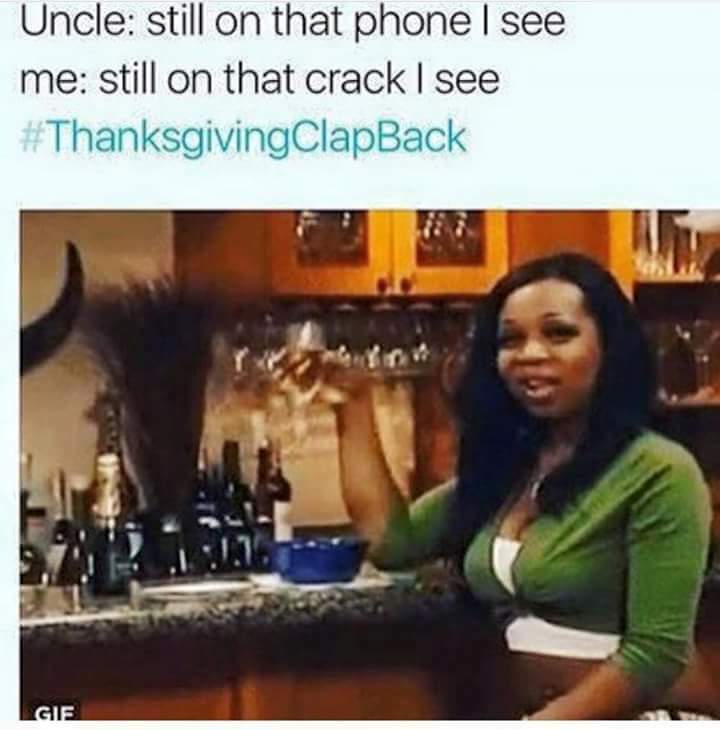 Cheerio luvs.